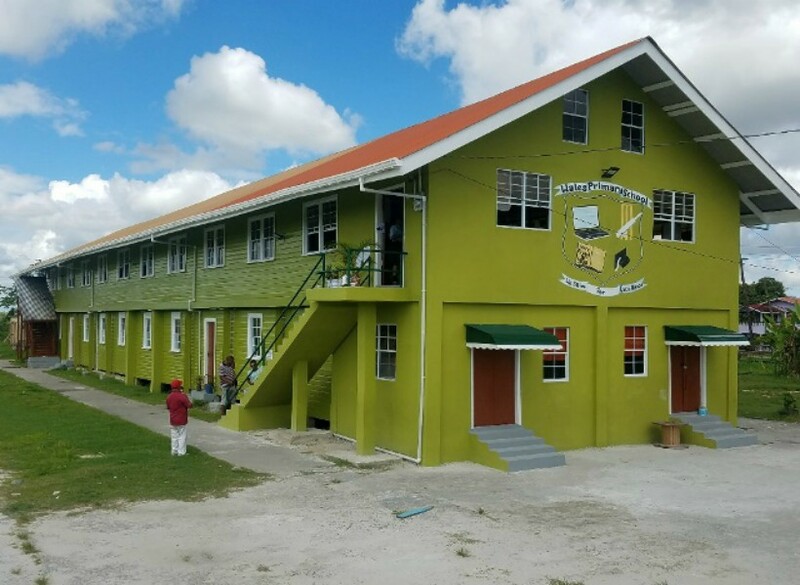 Wales Primary School, located on the West Bank of Demerara in Region Three, has received a $14Million upgrade. More than 50 windows were replaced, the entire wooden front wall was removed, a concrete structure reinstated, and defective concrete columns were replaced by steel posts. Additionally, two wooden staircases were repaired and one was completely replaced with a concrete stairway. The entire building was rewired and all fluorescent light tubes were replaced with LED lights while some new ones were installed. The entire building was given a facelift with a fresh coat of paint. The school currently has an enrollment of 261 pupils with eight teachers and a Graduate Headteacher.